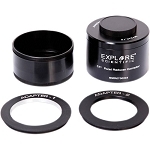 This 2" HR Coma Corrector from Explore Scientific helps minimize or eliminate comatic aberration that can be caused by off-axis point sources. 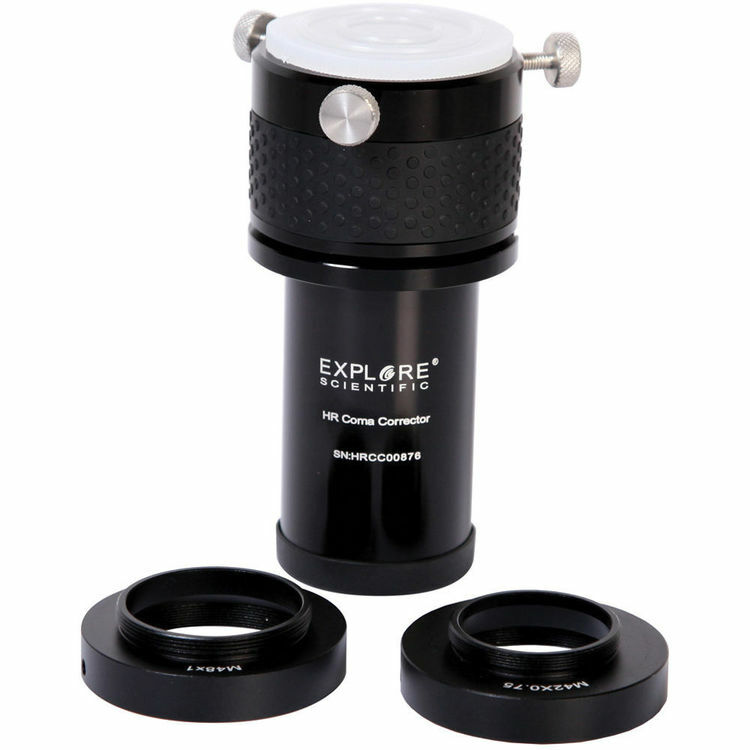 It has anti-reflective multicoated lenses to maximize light transmission for brighter and clearer images. 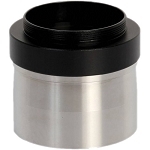 It has a textured rubber grip, and includes a 0.75" and a 1.00" adapter to secure your T-adapter. Box Dimensions (LxWxH) 7.4 x 6.6 x 6.2"